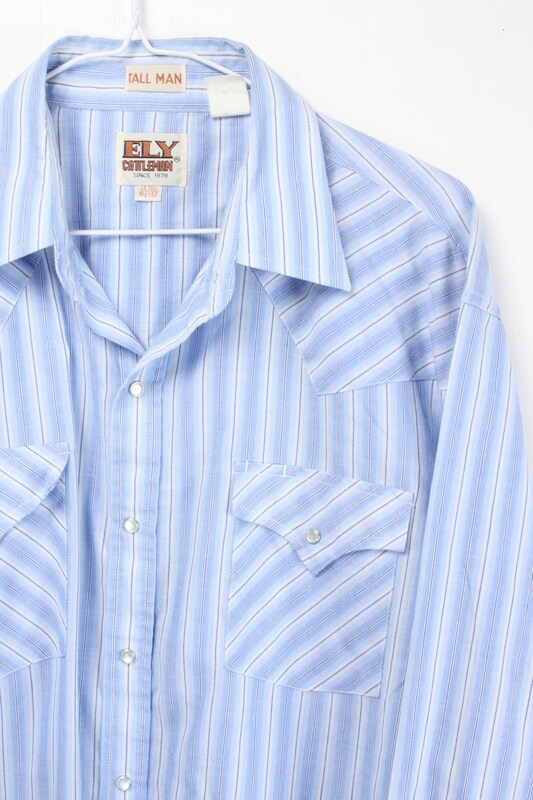 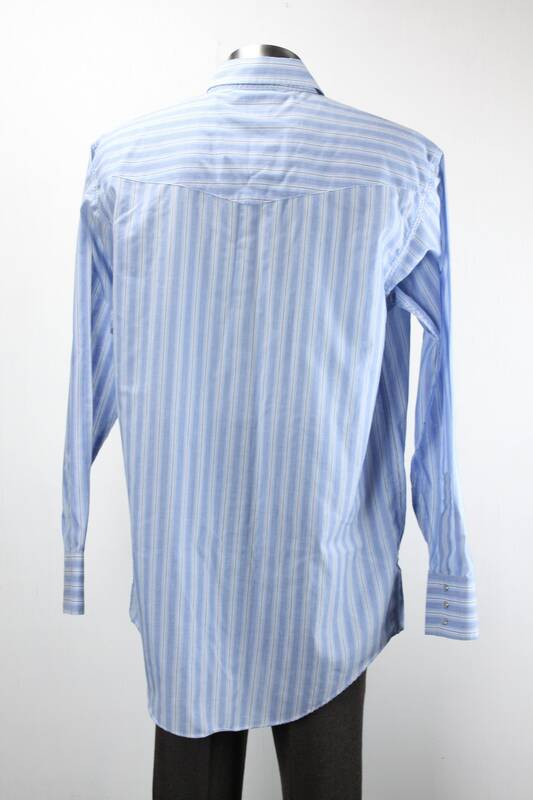 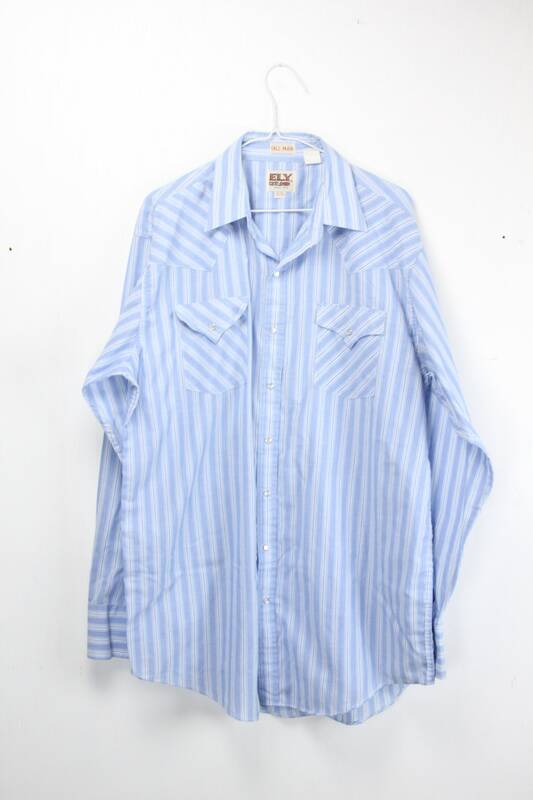 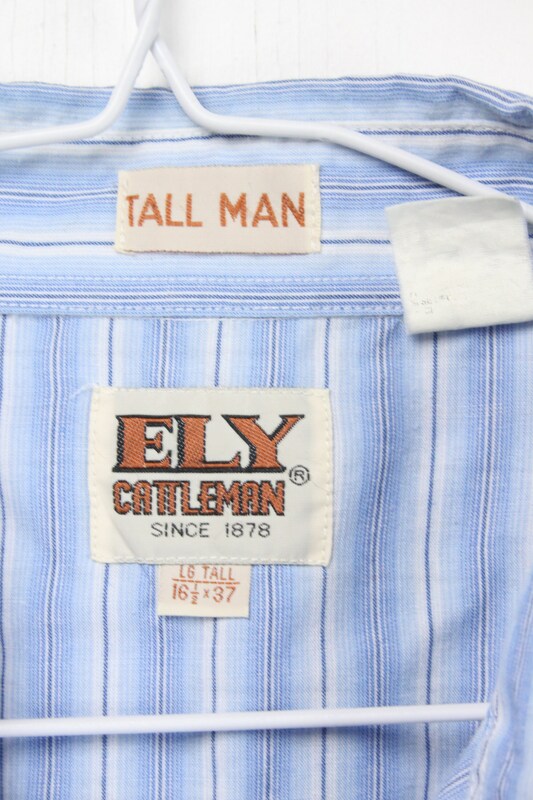 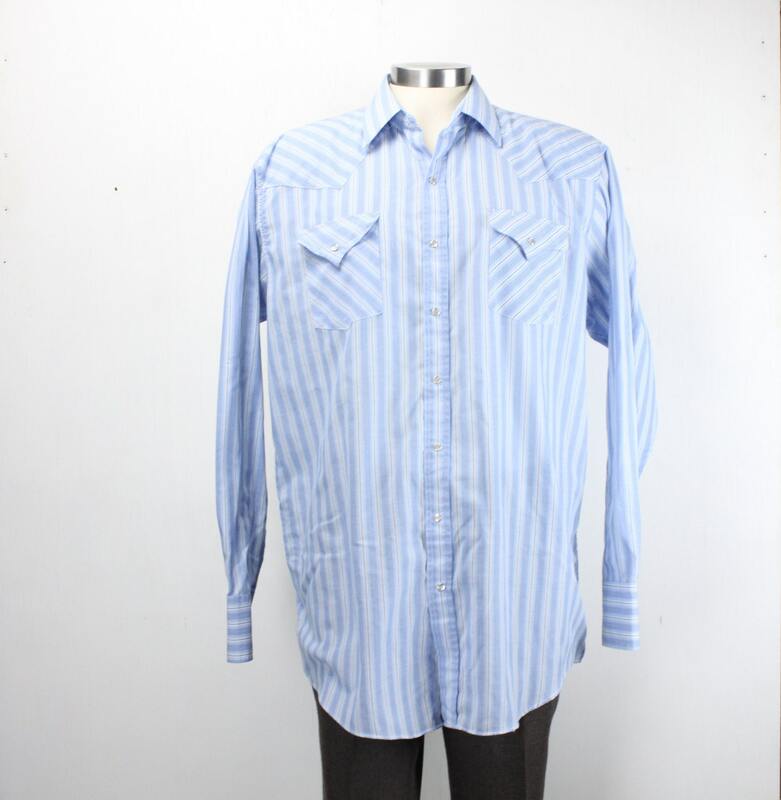 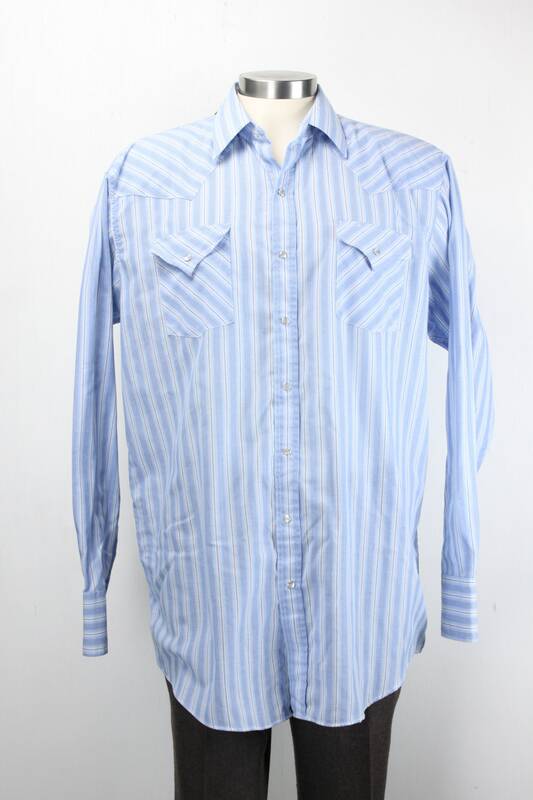 This Western wear shirt by Ely Cattleman features Tall Man fit, XL tails, Single needle stitching and snap buttons! 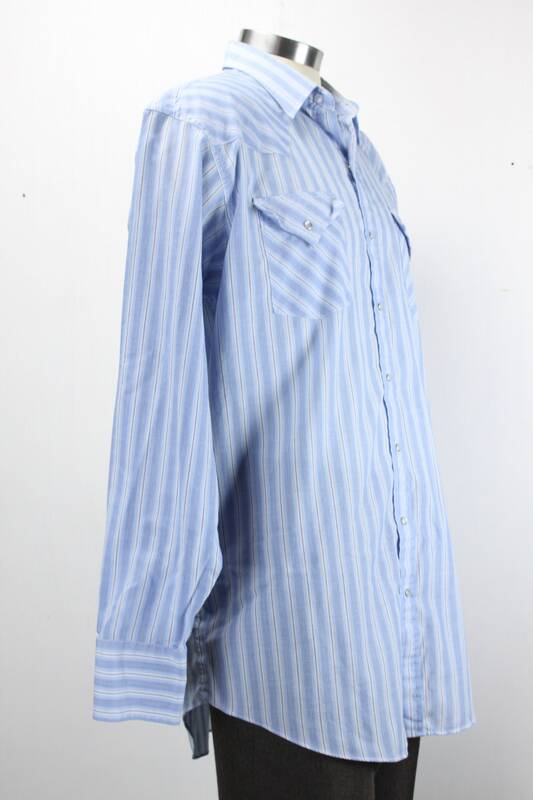 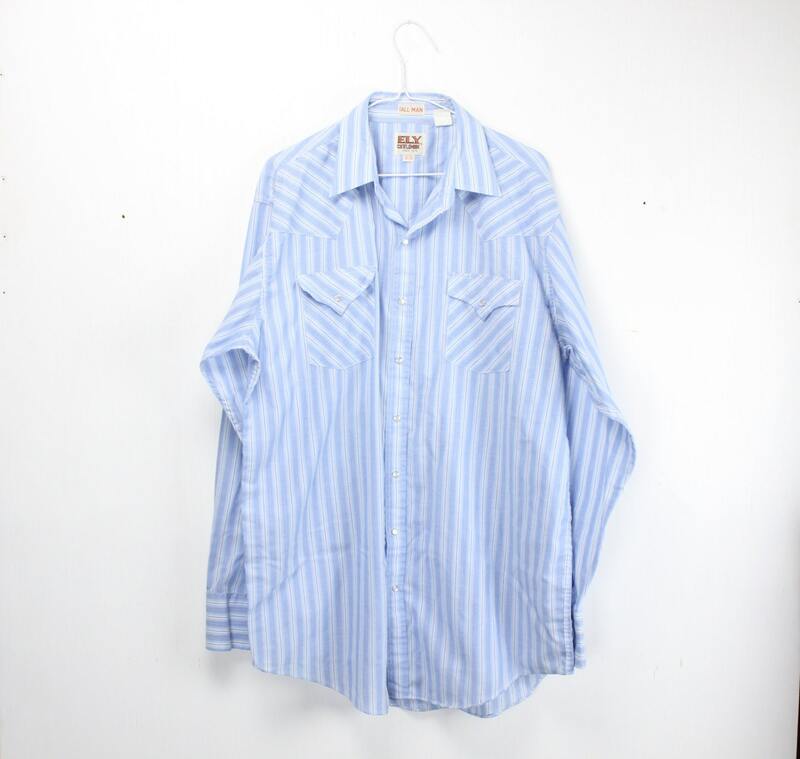 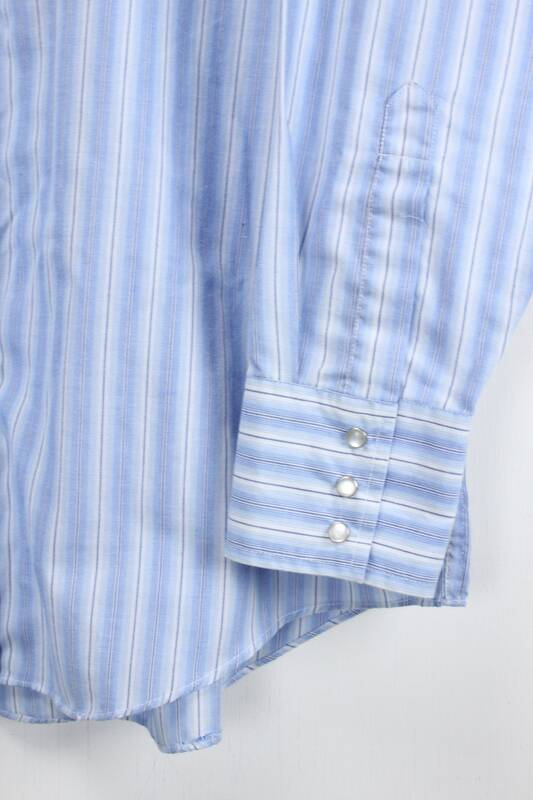 The fabric of this shirt is a light and breathable cotton blend and is presented in a muted stripe pattern. 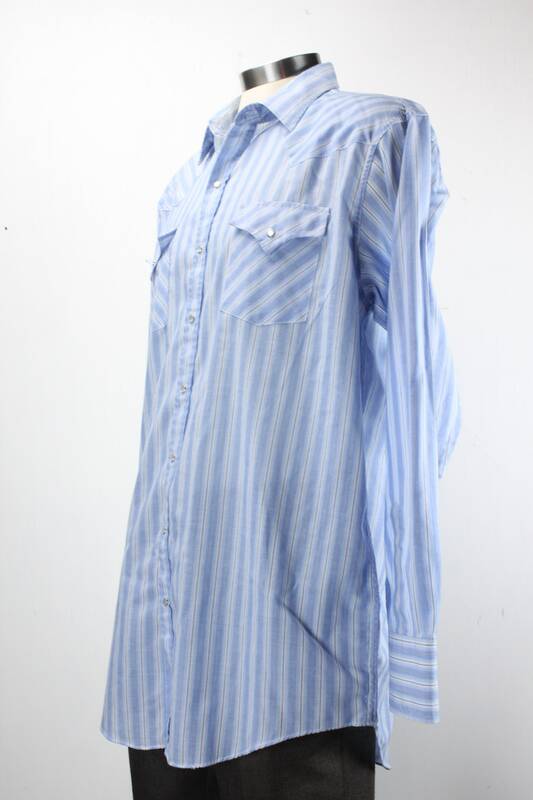 - Underarm to hem: 20"
- Neck to Hem: 37"